During this period of little weather, I want to reiterate something I have written about on a number of occasions. Want a great job? 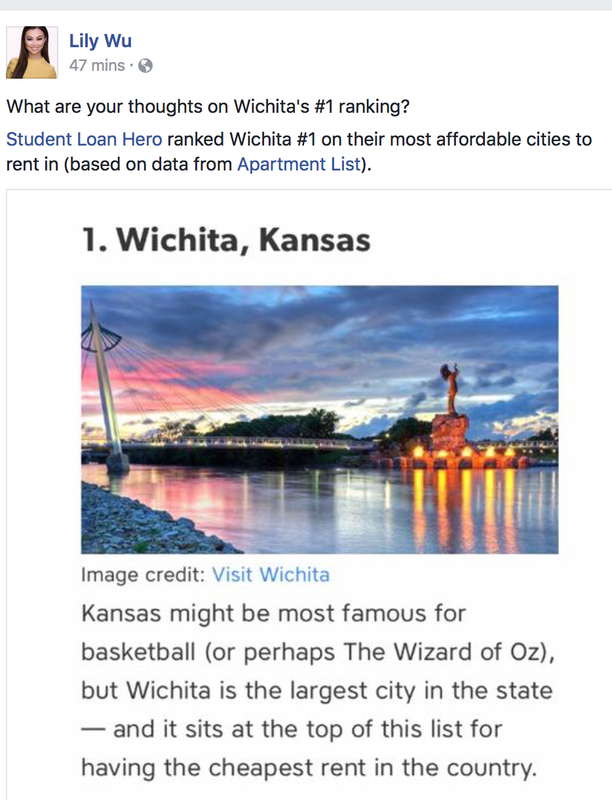 Come to Wichita! Below is a screen capture from the Wall Street Journal online this morning. 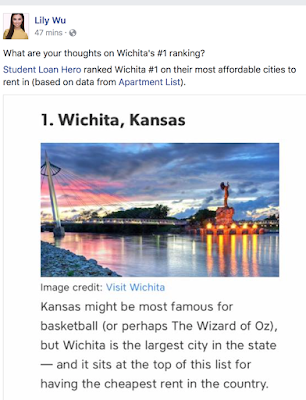 Meanwhile, Alton Brown -- on the same day -- is calling Wichita one of the top ten cities in the United States. Come and join us! You will not find a more progressive (in the best sense of the term) city with friendlier people! ADDITION AT 12:15pm. Other people are commenting on the WSJ story and I want to clarify something. 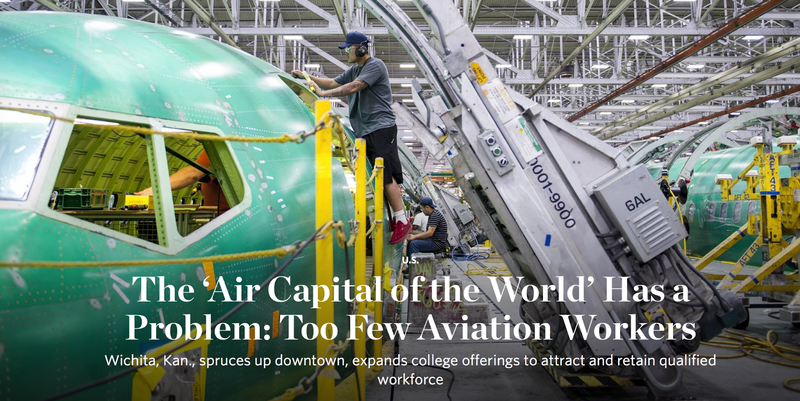 Airbus' office at Wichita State's new Innovation Campus isn't a "local office." There are more than 300 jobs (and, they are hiring) and they design the wings for every type of Airbus aircraft including the super-jumbo A380. In addition to a great salary, see below. 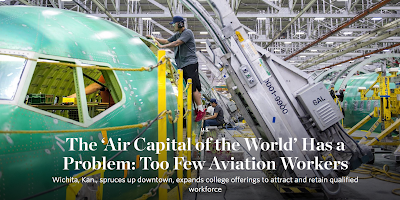 You can get a great job, have a low cost of living, a great lifestyle and probably the nicest airport in the entire nation with coastal non-stop flights and many connections.